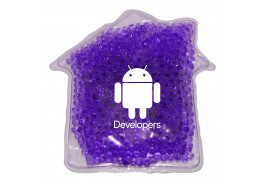 Sponsor your next event with a custom hot/cold pack priced to make even the stingiest CFO smile! 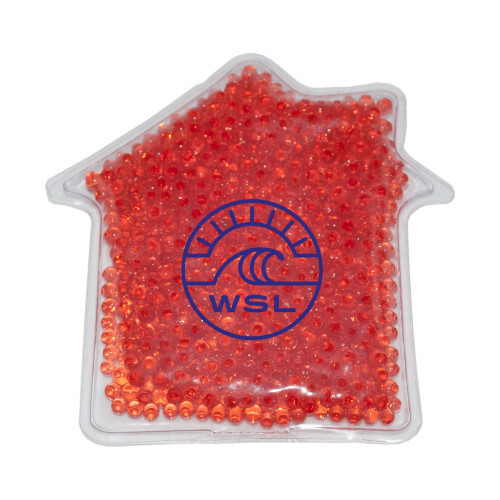 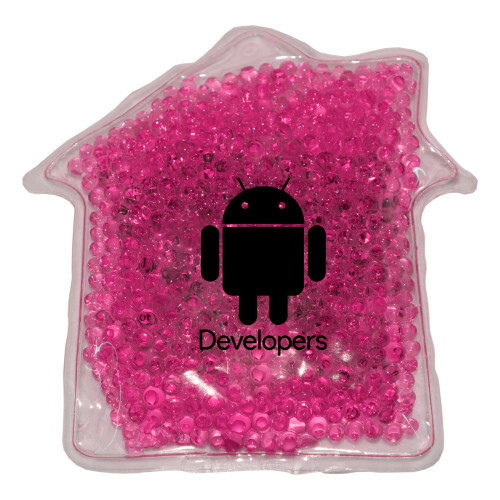 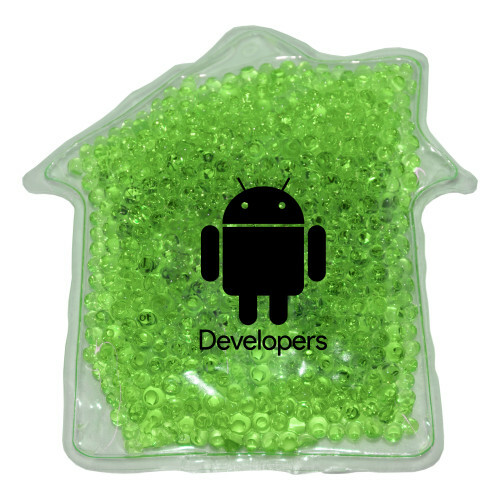 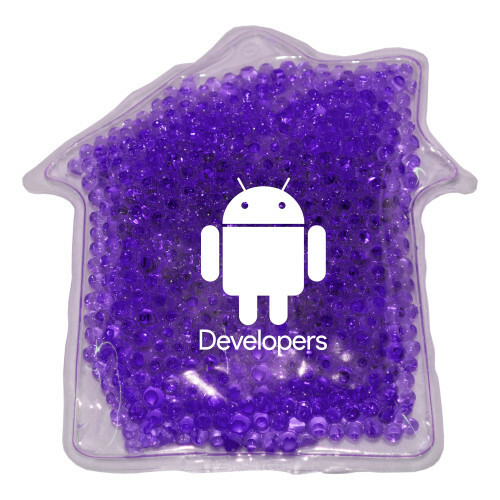 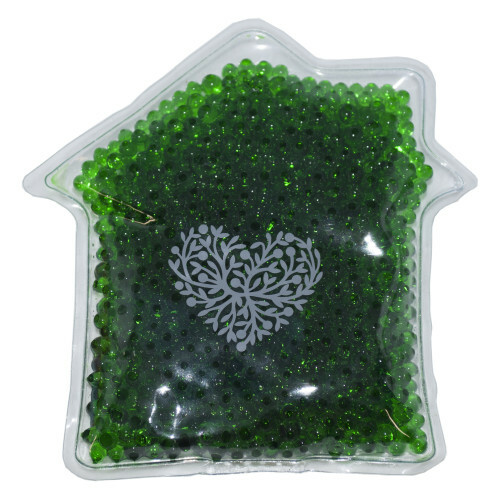 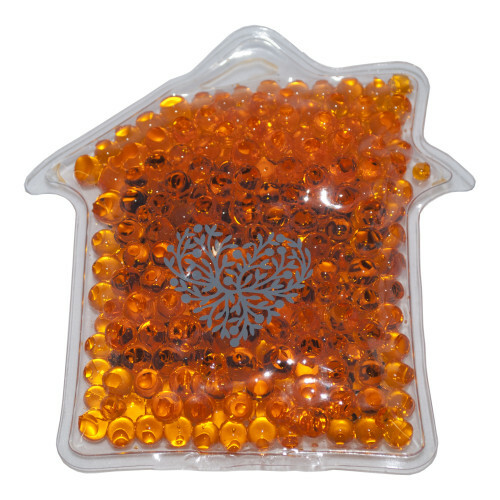 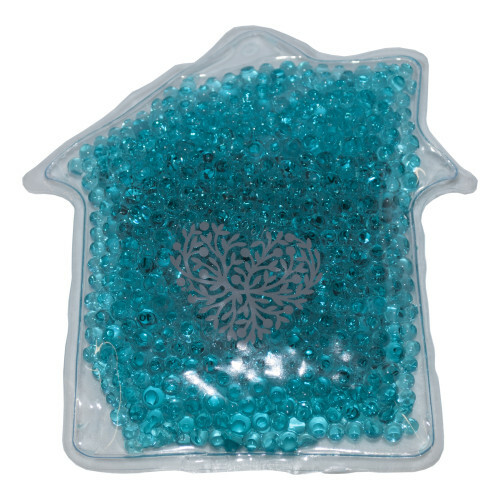 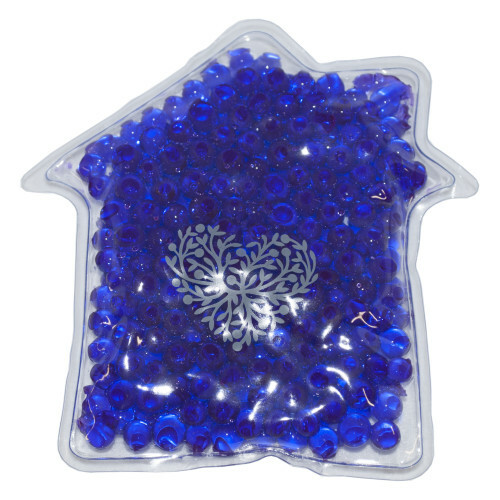 This house-shaped personalized hot/cold pack is filled with vibrant colored non-toxic, pliable gel beads made with a blend of water and glycerine. 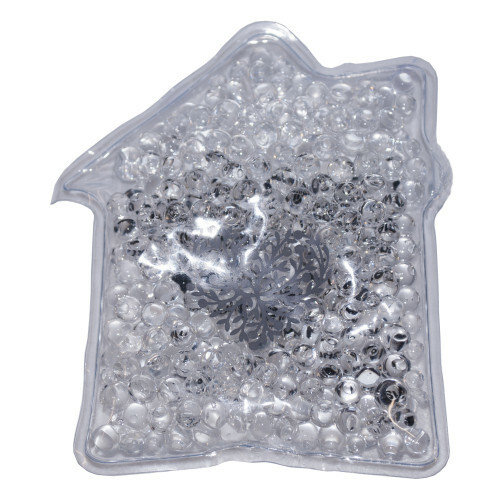 Perfect for treating sore muscles with either hot or cold therapy, the pack is microwave and freezer safe with instructions printed on the back of each item. 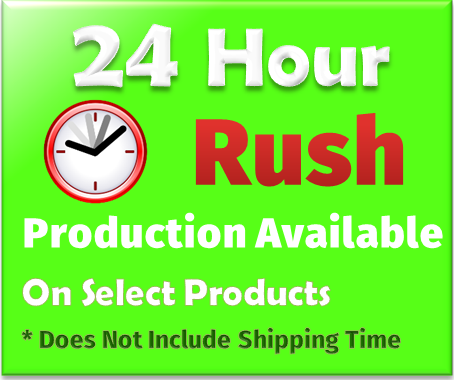 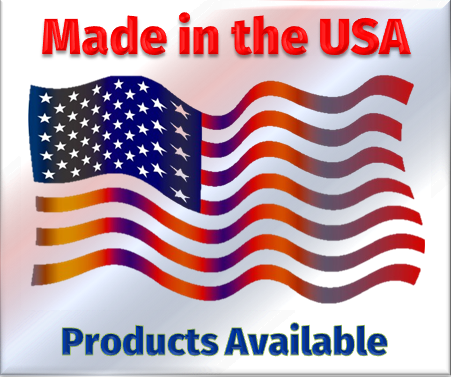 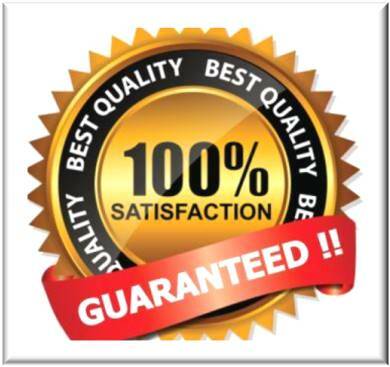 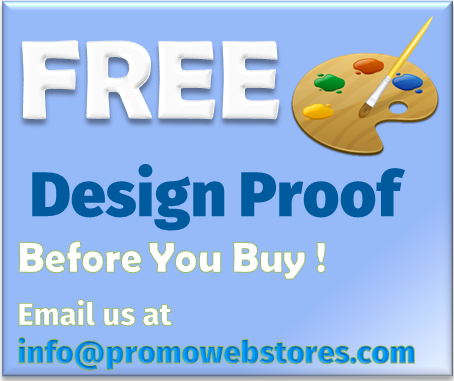 Choose from Blue, Clear, Forest Green, Lime, Orange, Purple, Red, Teal and Yellow.